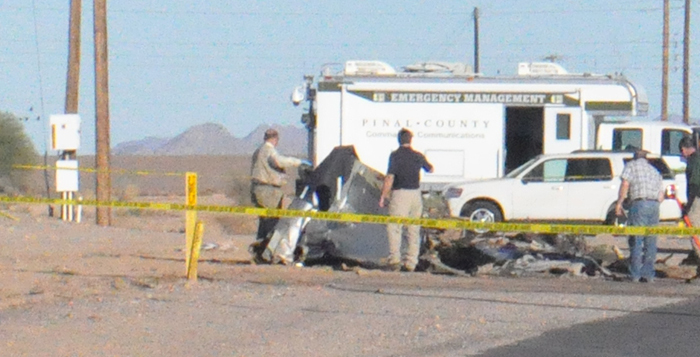 A small plane crashed in the Thunderbird Farms area just before noon today, killing the pilot. However, PCSO later reported finding the body of a second victim. The airplane caught on fire after impact. PCSO investigators are also on scene. Clark said several 911 calls came in around noon, when the plane went down at the corner of Peters and Nall and Breeze Way, just west of Ralston Road.